Over 40 years of experience in the procurement and disposal of Avaya IP Phones. Sell new or used Avaya IP Phones. If you wish to sell new or used Avaya IP Phones and conference stations then get in touch with us today. We’ll take the details of the Avaya IP Phones you want to sell and offer you a hugely competitive price which we pledge to pay on a conveniently speedy turnaround. Our custom built Cheshire warehouse is home to literally thousands of items, all ready and waiting for immediate dispatch. Which means we always need excess and redundant Avaya Phone systems. 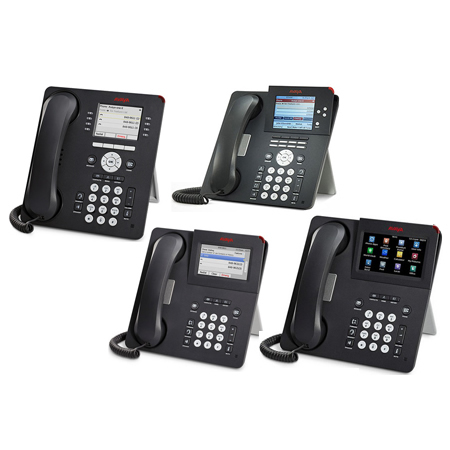 If you need to sell redundant Avaya IP Phones or Avaya Conference Phones then you can do so safe in the knowledge we are stockists of most all of the Models in the Avaya 1600, 4600, 5400, and 9600 series Phones and looking to buy most models that retain a residual value. Your Surplus Avaya IP Phones and Conference Stations Could be Earning you Money. Get in Touch with ICP Networks to Find out How. Please don’t hesitate to contact a member of our friendly and knowledgeable sales team if you require any further assistance. We look forward to hearing from you. You can contact us directly by this form or by telephone on any UK working day from 08:00 to 17:00 +44 1625 468 450 . We stock Avaya 9600 handsets including 9608, 9611, 9621, 9641 9650 models in large quantities as well as a sprinkling of Avaya 9620C, 9620L, 9670G series models. Not only does the chance to sell used Avaya IP Phones offer a quick and easy way of recovering value, it also feeds into a genuine commitment to green IT and the recycling of reusable equipment. Call us today +44 1625 468 450 or complete the form below and find out how much your surplus Avaya IP Phones could be earning you. Why Choose ICP Networks ? Put simply, you should choose ICP Networks to provide your Avaya networking solutions because you can trust us. You can take a look at the many accreditations and awards we've received, you can read the glowing comments of the many people we've done business with over more than a decade and, best of all, you can get in touch and find out exactly what were able to do for you. From a single piece of equipment to a complex and multifaceted system, no matter what your Avaya needs are, we`ll be able to meet them. Order before 4pm and we guarantee next day delivery via one of the army of couriers we utilise. Whether the item you purchase is brand new, end of sale, pre-owned or refurbished, it comes with our guarantee of excellence, and a promise that the recycling of IT equipment doesn't represent any drop off in quality. On the contrary, our commitment to Green IT - manifested in the state of the art headquarters in which we are based - ensures we always go the extra mile to deliver exactly what our clients need at a price which represents the best possible value. By choosing ICP Networks a business or other organisation can access hardware such as Avaya routers and gateways which might otherwise have been beyond their reach. The fact that Avaya are constantly innovating and trying to keep pace with the shifting business environment means that customers who choose ICP Networks to meet their needs can do the same, equipping themselves to handle the challenges of tomorrow whilst exploiting the opportunities of today. If you've got any questions then please bring them to a member of our customer care team, and we'll do our best to furnish the answers. If for any reason you are unable to locate the type of Avaya networking hardware, or anything else you are looking for, please contact one of our team on +44 1625 468 450.